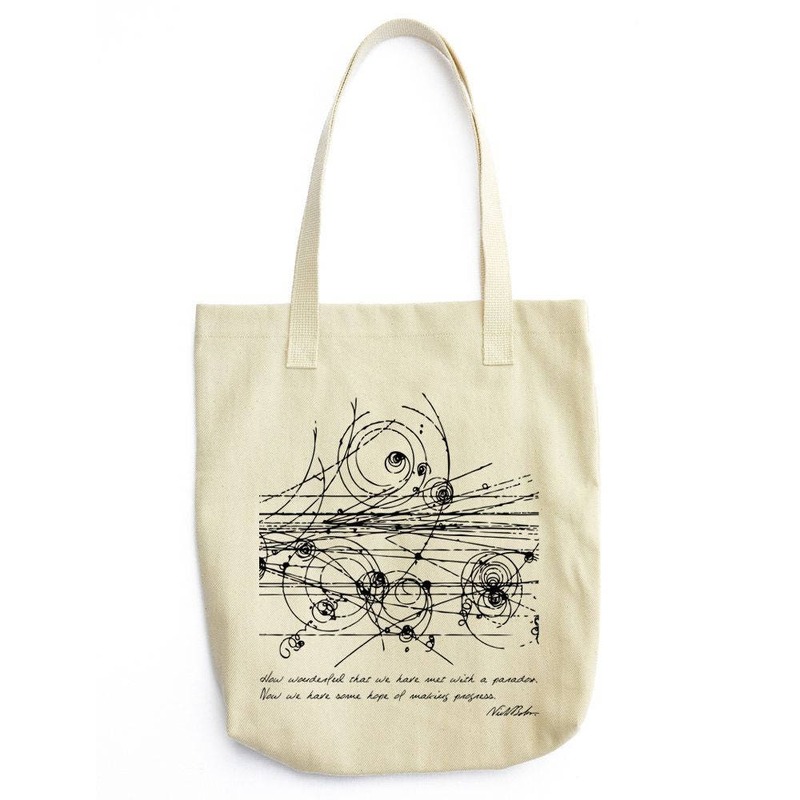 This elegant design is made for the curious minds: "How wonderful that we have met with a paradox. Now we have some hope of making progress." An inspiring quote by Niels Bohr together with an image of particles' collision inside a bubble chamber.